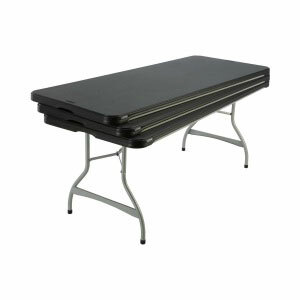 Host parties, gatherings, banquets, weddings, and church functions with black Lifetime folding tables. These tables fold up to store conveniently, but also stack for easy storage once put away. 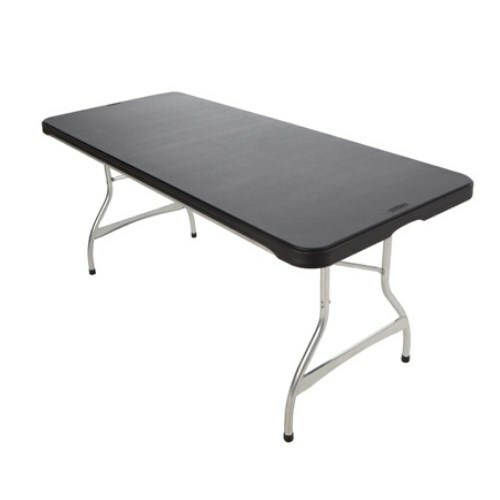 The black color helps eliminate stains and allows for many multi-uses. 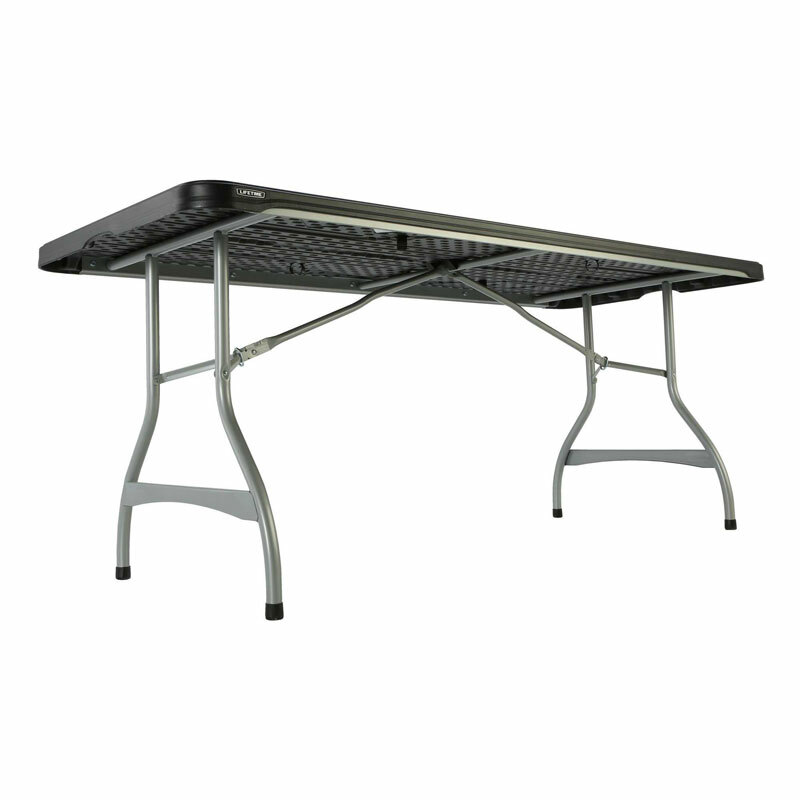 The tables are indoor and outdoor use making it perfect for any type of gathering or banquet. 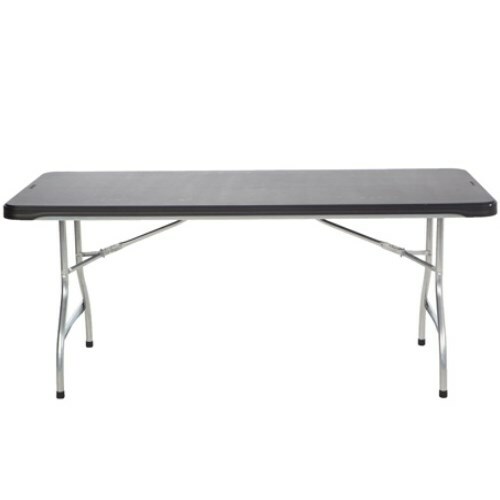 The 480350 Lifetime Black 6' Folding Tables include a 10-year factory warranty against normal commercial use. 2000 Pound Capacity of Evenly Distributed Weight. Frame Color Chrome Gives Modern Look. Strong Leg Tubing 1.1" Diameter. Indoor and Outdoor Use (must be stored indoors). Rubber Feet Tips are Non-Marring. Cleans Easy with Mild Soap. Works with 6520 Lifetime Table Cart. These stacking tables are great.. The new black colored tops are very classy and clean looking. Wont show stains as much as the white ones did. Great price also. 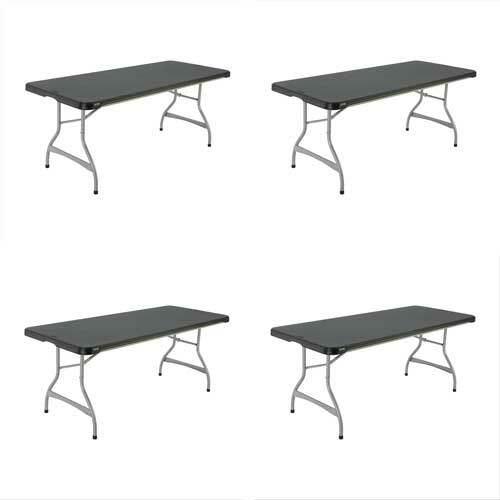 Q: How long does it take to receive these tables? Q: How many adults does it take to move these tables? 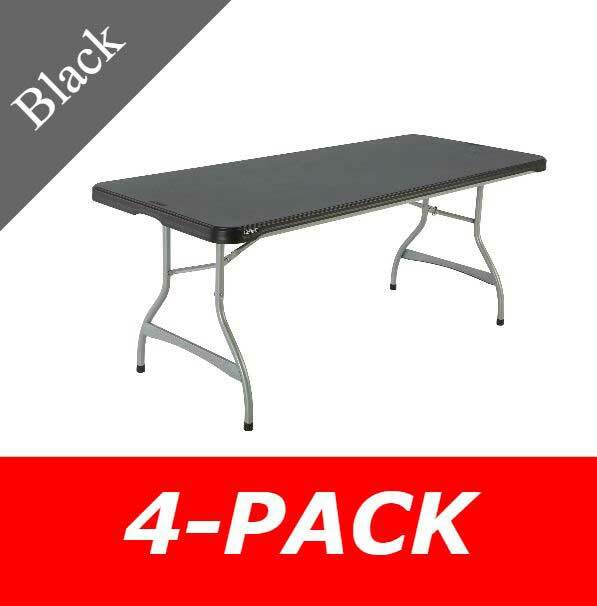 A: One adult can easily move one table. 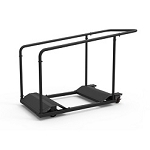 Please view the video below to get a better look at this product. Please note that this video is for informational purposes only. Please note that Overview and Specifications tabs for included features and specs. 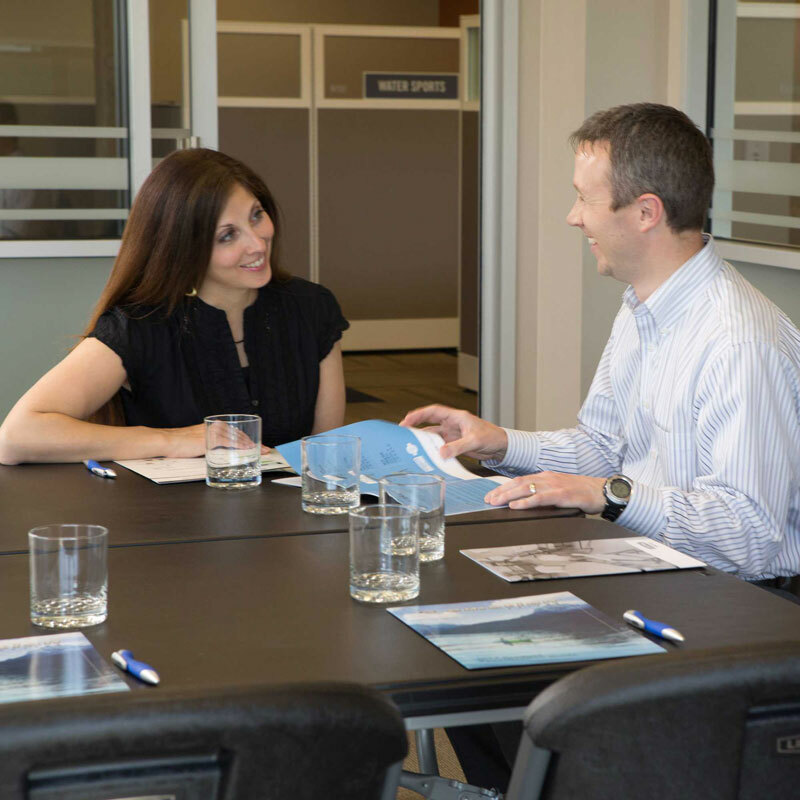 Fast Shipping: Orders for the Lifetime 480350 generally leave the warehouse within 2-4 business days. Dimensions: 73" x 38" x 12"